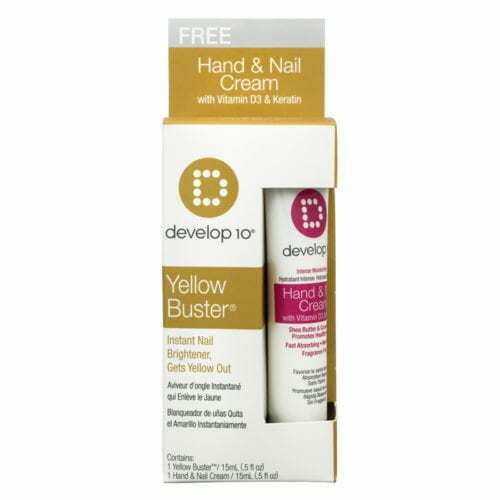 Instant nail brightener gets the yellow out and helps protect natural & acrylic nails from yellowing. 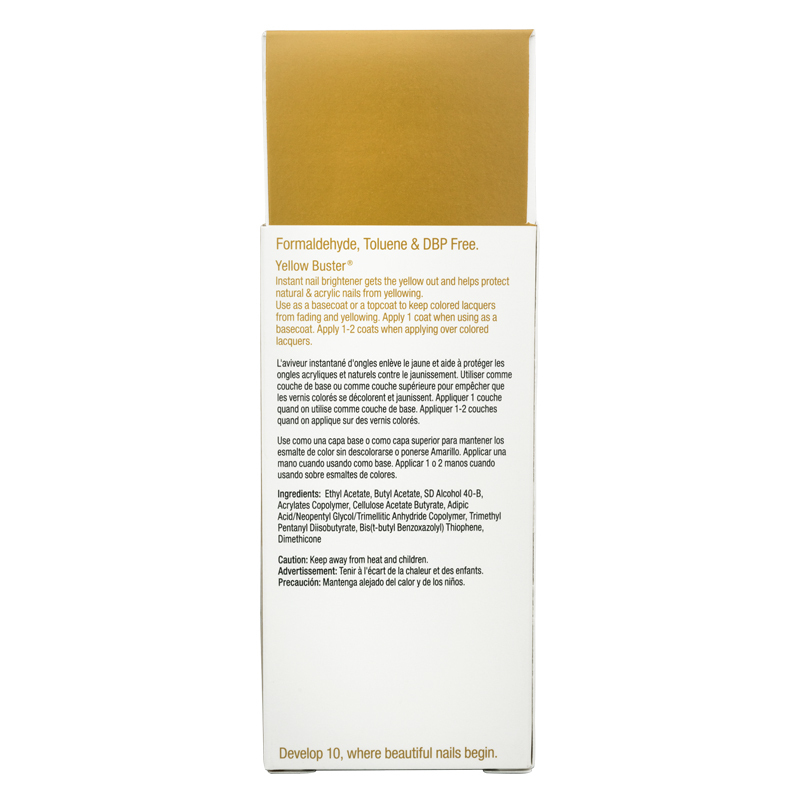 Directions: Use as a base coat or a topcoat to keep colored lacquers form fading and yellowing. Apply 1 coat when using as a base coat. Apply 1-2 coats when applying over colored lacquers.